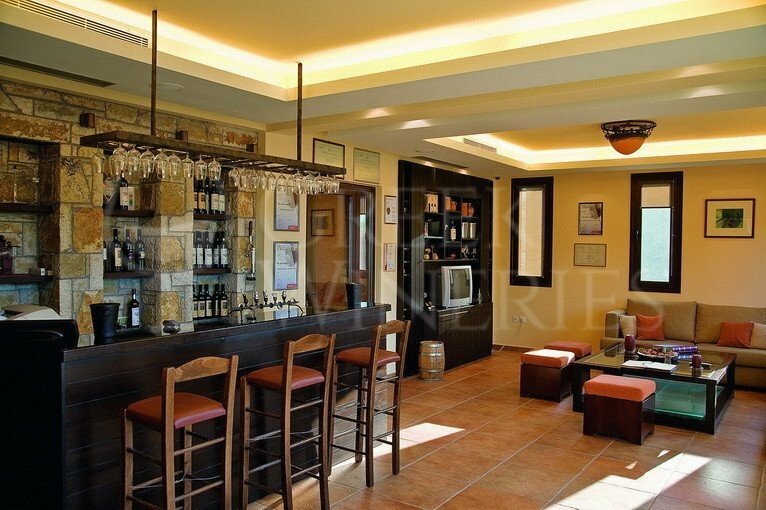 Tetramythos Winery The brothers Aristides and Stathis Spanos, having grown up in this area, found it absolutely natural to get involved with grape growing and wine production at a very young age. Organic farming, their love for the vineyards and wine led them to a more extended path. In 1999, they met Panagiotis Papagiannopoulos, an experienced oenologist, and they produced the first bottles of Tetramythos together. The following years, they planted more and more vineyards and, finally, a new winery was established in 2004. Modern equipment, such as small stainless steel tanks, connected with a temperature control system and pneumatic pressures, as well as the use of gravity for the transfer of must and wines, are used with respect to tradition. Grape varieties used: riditis, muscat blanc a petits grains, mavrodafni, raisin of corinth , chardonnay, cabernet Sauvignon, merlot, lagorthi. Guided tours and wine tasting take place daily from 9 a.m. to 4 p.m. and weekends from 10 a.m. to 6 p.m.